Washington, D.C., March 30, 2011, /Photography News/ The United States Holocaust Memorial Museum is asking for the public’s help in identifying 1,100 of the tens of thousands of children who found themselves alone and scattered across Europe at the end of World War II, the victims of war and Nazi racial policies. 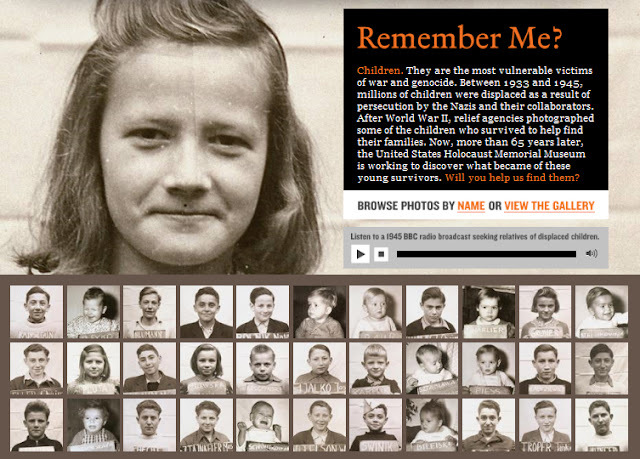 Visitors to the Museum’s “Remember Me” Web site, www.ushmm.org/rememberme, will encounter the faces of the youngest victims of Nazism and can help in the effort to learn who they are, what happened to them and help to reconnect them with each other and their families. The images come from collections from the Museum, the American Jewish Archives and the Museum of Jewish Heritage. They are of Jewish and non-Jewish children whose lives were uprooted during World War II and the Holocaust. They were taken by relief agencies in the immediate post-war period in displaced persons camps, children’s homes and elsewhere. The Museum hopes to enlist the aid of individuals, families and communities in this effort. The “Remember Me” Web site contains a gallery of 1,100 images that users can access and instructions on how to submit information on an individual to the Museum. In addition to the “Remember Me” Web site, the Museum plans to publish many of the images in newspapers and online forums around the country to help enlist the public’s participation in this urgent undertaking. Maybe they dont want to be found, you should just leave them alone. what i don't understand is why any people who had blond hair and blues eyes was okay,yet Hitler had dark hair and dark brown eyes!!?? poor victims. Adolf Hitler is a monster who those who followed him and still look up to him dont deserve to be loved and dont deserve to be alive i dont know how these cruel people can live with themselves. i suport these jews and all those who were lost or killed.